I love the GSOTM/DSOTM watches and am looking to buy one in a few months, but I personally am not a fan of the leather straps. Is it possible to get Omega metal bands for these watches that match the lug colors? Would it be too different to have a metal band but a ceramic case? I'm curious if anyone else has replaced straps on these watches. I've seen the 2017 master racing chronometers which kind of fill that space, but I'm not really feeling the racing dial. 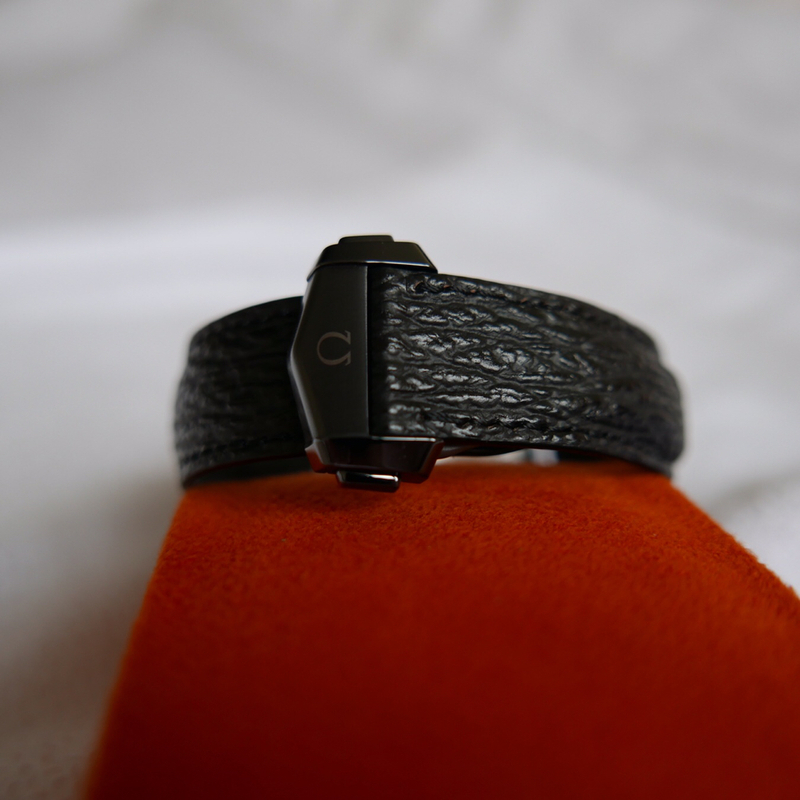 My Omega PO Deep Black came with a rubber strap, and I’ve ordered a leather and a canvas strap to swap onto it. Not sure what the deal is with metal ones mated to the ceramic lugs. You might be able to order a custom bracelet straight from Omega? That was my issue with my Montblanc TimeWalker that had a double DLC coating on it. It was either a leather strap or a rubber strap, no bracelet option, which is a bummer and the old TimeWalker's had a pretty unique design for a bracelet, just getting a regular after market DLC bracelet would look terrible. 6R15, GTTIME and TwentiethCenturyFox like this. GS tried something similar. I find their ceramics to be somewhat transformer-ish looking. 6R15 and AbsoluteMustard like this. I currently own the GSOTM and sold my DSOTM PB last year. I love these watches but I don’t like straps even though I have many of them. I want to be able to go bracelet for most things. I agree with the above either will look horrible with bracelet. I did see a GSOTM on Titanium bracelet that didn’t look too bad but I would be worried that it would damage the ceramic case with metal end links. 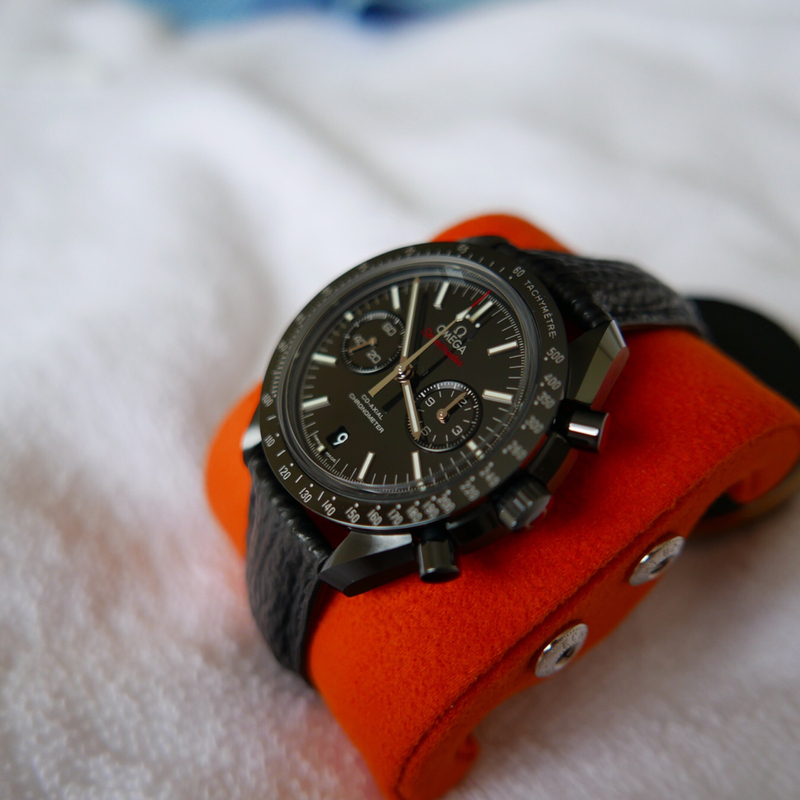 I don’t miss the DSOTM PB at all and I like the GSOTM enough that I live with it as a strap only watch. Personally I’d look at the white/black racing or the blue moonphase both looks fantastic on strap and bracelet. Try a custom from Jean Rousseau, this is the dsotm on shark skin. It’s on a shrunk calf lining with black hand stitching and is very comfortable. gray side of the moon?